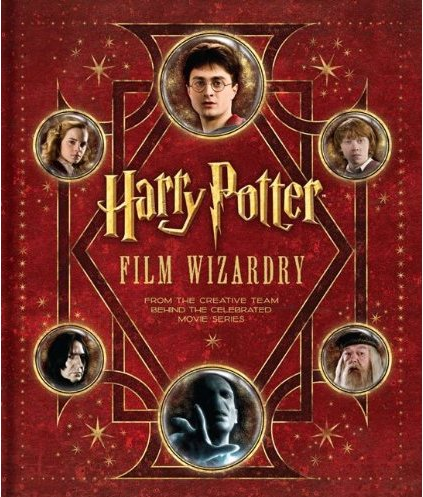 Summary (from Amazon): Immerse yourself in the world of the spectacular Harry Potter film series. Learn why Yule Ball ice sculptures never melt, where Galleons, Sickles, and Knuts are really "minted", how to get a Hippogriff to work with actors, the inspiration behind Hogwarts castle, and why Dementors move the way they do. 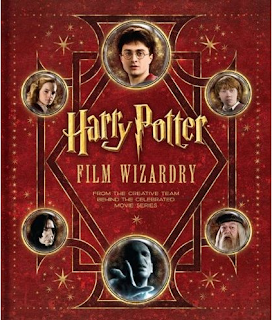 Written and designed in collaboration with the cast and crew that brought J.K. Rowling's celebrated novels to the silver screen, Harry Potter: Film Wizardry delivers an enchanting interactive experience, transporting readers to the wizarding world by sharing filmmaking secrets, unpublished photography and artwork, and exclusive stories from the stars. Full of removable facsimile reproductions of props and paper ephemera from the movies, this collective volume offers a privileged look at the Harry Potter films and the talented group of Muggles that has made true movie magic. In other words, it's full of fascinating, funny, interesting, and beautifully produced stuff. If you're a Harry Potter fan, I say go out and get this book! Sounds like a blast to read! I read a few pages off this one at the B&N store. It's so engrossing! I really loved it!